Post your Ugly Mug! - Page 9 - DAMN Riders - No rules, Just ride! Re: Post your Ugly Mug! Twist wrote: Thanks Kyler, that's what I was hoping for! I take the 1000 out to Summit Point for Roger Lyle's track days and may try to get up to NJMP this year. That's another thing from my distant past that I'm trying again too. I figure if the dual sport riding doesn't put me on a first name basis with an orthopedic surgeon, the race bike will. if you ride a KTM 350EXC (and I'm SOOO jealous) I doubt you will have any issues. I race my sidecar with CCS at Summit and NJMP. Sidecars - cool. My 9 year old saw one at the Barber Museum last summer and has been wanting me to get one ever since. I keep telling her she's big enough to ride her own dirt bike! She'd be on one if we had a good place to ride. Welcome aboard dude. I am pretty jealous over your stable (the street portion of it..) I've been lusting after a 1000SS since the first one hit the showroom! Bucho wrote: Not exactly the lightest dirtbike out there... Though Sallydog has ridden some hairy stuff on his old KLR. Are you already a dirt/offroad guy? Or is this KLR the "light weight" bike that you plan to learn to ride dirt on? The KLR is a fat pig but we're going to try to do the full Trans America Trail so I was looking for more of a mule than a mountain goat. 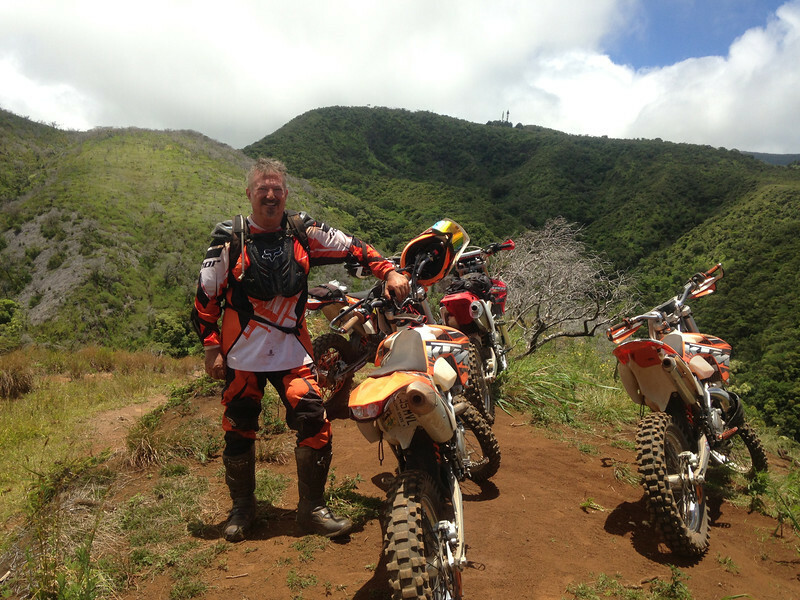 I grew up in the dirt but hadn't been on a dirt bike in about 40 years until about 2 years ago. I spent the last couple of summers back riding off road and it lit the fuse again. Over the last couple of years I've done a small bit of more technical rides on a KTM 350 EXC and some park/forestry road type riding on a DRZ400 and a KLR. There may be a 250 in my not too distant future but yeah, the KLR is my "light weight" bike for now. I went looking for some place I could find some riding and found you guys. I haven't been on here in a while and been out putting that KLR and a 1200GS to good use for the last few years. The KLR is now gone and I'm shopping for a WR250R and hoping to find my way out on to more single track rides. Looking forward to spending more time hanging out here. Whoa, back from the dead!